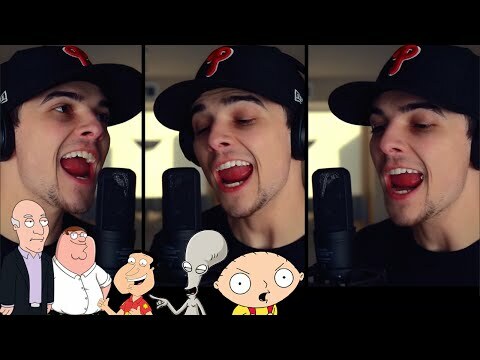 Mikey Bolts, an impressionist and singer recently covered Mark Ronson and Bruno Mars’ hit song, ‘Uptown Funk‘ while doing the voices of some well known animated characters. In the viral video, Bolts does the parody using voices from ‘Family Guy‘ characters, Peter Griffin, Stewie, Quagmire, Bruce and Mr. Herbert. He also throws in a couple of voices from ‘King of the Hill’ and ‘American Dad‘. In his video description on YouTube, Mikey Bolts states that it took him a full day just to record and edit the two minute video. This isn’t Bolts’ first time recording a parody using famous animated voices, in the past he has recorded Eminem’s ‘The Monster’ and Pitbull’s ‘Timber‘ songs. Check out the entertaining, ‘Uptown Funk‘ video now.